Platinum’s 5W LED RGB Sound Sensitive Music Color Changer is a simple tool to add impressive color effects wherever there is music present. 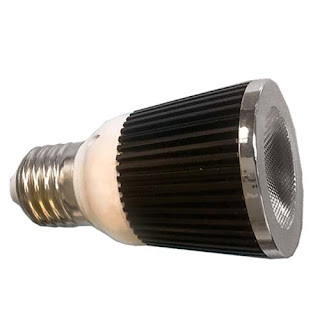 Ideal for accent lighting in restaurants, bars, clubs, lounges, stores, and where else there is music, Platinum’s 5w Sound Sensitive LED PAR16 bulb can match the beat of any music over 70dB with LED RGB color changing. Platinum’s Sound Sensitive LED bulb has several built-in modes of operation as well as static color operation. With its E27 standard screw base, installation of the Sound Sensitive LED bulb is simple and with its 30,000hr life hour rating you don’t have to worry about your colors fading for a long time. The Sound Sensitive LED bulb also features a built in IR sensor so you can use it with a remote control for ultimate flexibility. Platinum’s 5w LED RGB sound sensitive color changer is the only bulb like it around, so be sure to check it out for yourself today. BulbAmerica has a full line of LED colored and standard light bulbs to also get your lighting going so be sure to look them over. Please do not hesitate to leave us a comment or a question on our blog or Facebook, or call us at 1-877-622-0897.